Join us for Umra or Hajj this year 2019. 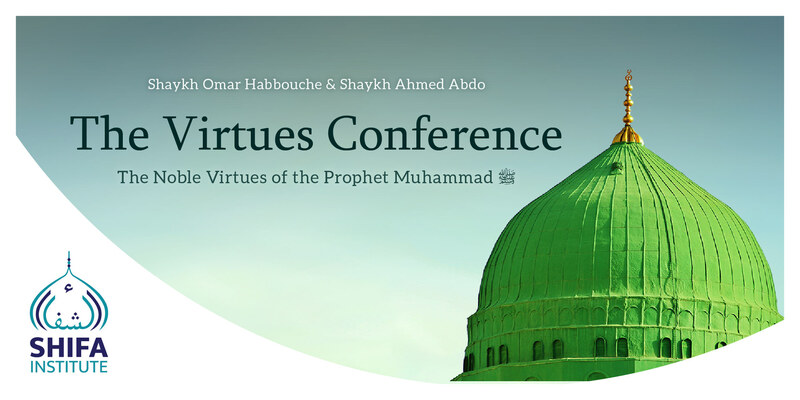 Led by Shaykh Ahmed Abdo. Teamwork is essential for the development of a successful, young leader. We aim high at Shifa Institute! We provide holistic activities for our young people, where they can realise their natural potential and achieve the best results possible. You can achieve so much more, only if you realised your potential. Creating the right environment is essential for the development of young, pure hearts and souls. Shifa Institute is all about healing, the healing of human souls and hearts to bring about positive effects in our modern society. 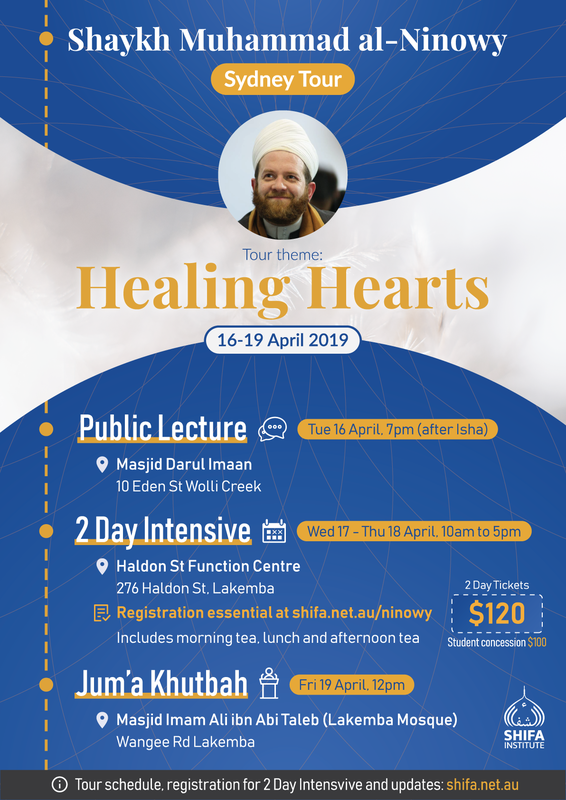 Shaykh Muhammad ibn Yahya al-Ninowy (USA) will be touring Sydney and teaching a special and limited 2-Day Intensive Course. 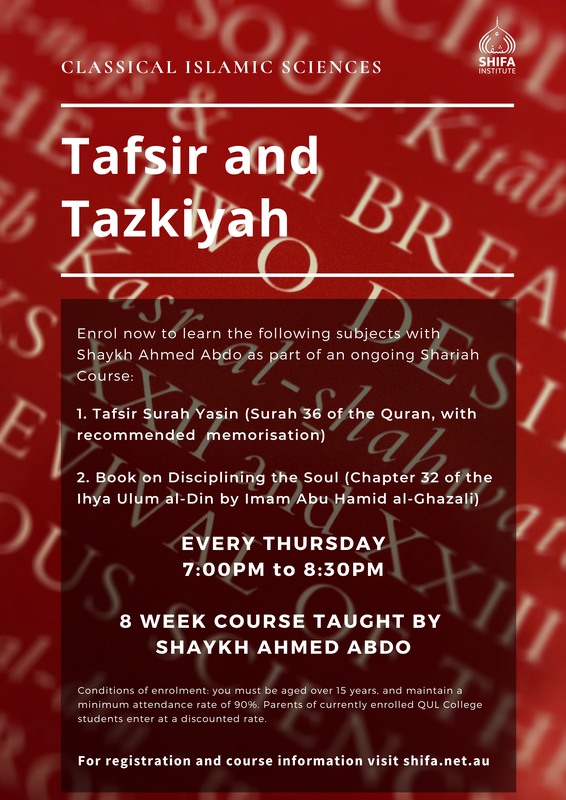 Register for the 8 week Tafsir and Tazkiyah here. 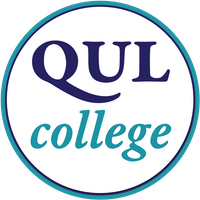 We are taking registrations for QUL College 2019. If you are interested in enrolling your children aged 5 to 16, fill in the below form. This year, we are offering students the option of enrolling in Friday OR Saturday. Click Continue Reading below or scroll down to the bottom of this post to access the registration form. If you are planning your Hajj journey from Australia this year of 2019 / 1440, then Sacred Links is now open to take your registrations for Hajj in 2019. 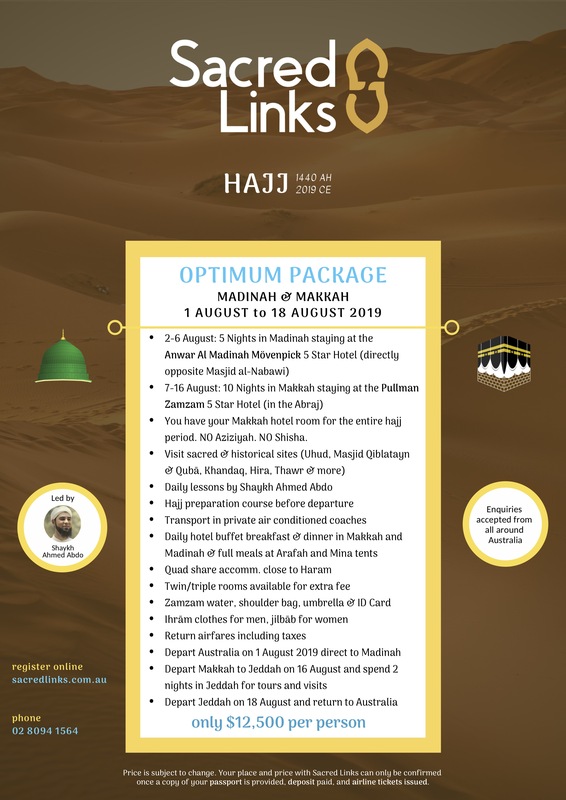 We will be offering ONE Ultimate Package for Hajj in our first year, with 15 nights accommodation in total – no Aziziyah and no Shisha apartments – you will have the Makkah hotel room all the way during the period of Hajj. It’s easier on you and those travelling with you. Plus, an additional 2 nights in Jeddah with extra visits after Hajj. 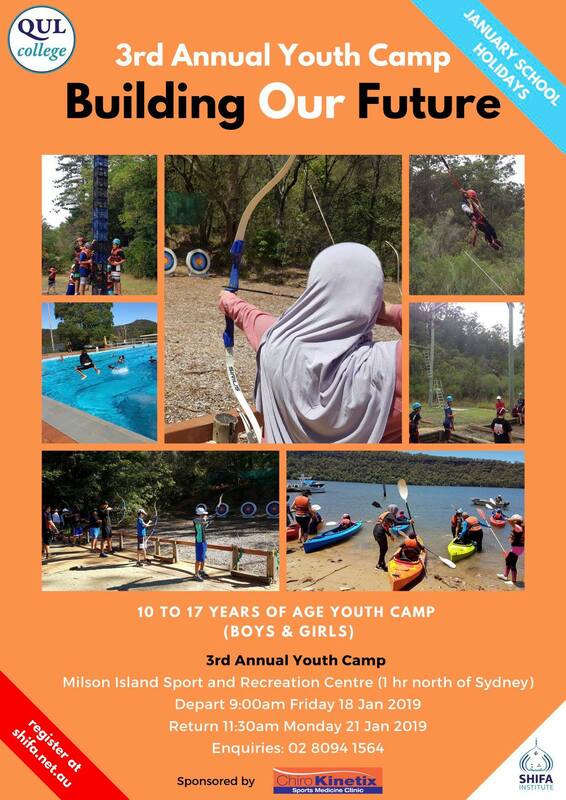 Our 3rd Annual Youth Camp is the perfect Summer Holiday activity for your child where they will have lots of fun, as well as learn so much about their own identity, make superb friends, and have an absolute blast! 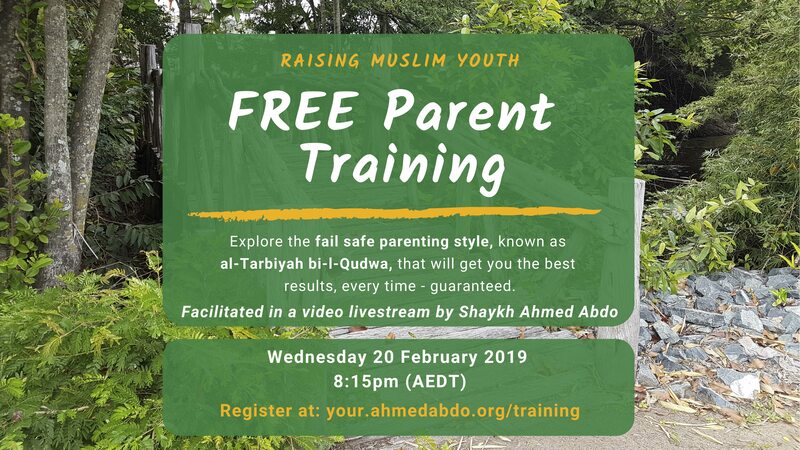 will be in attendance and offering Islamic lessons, classes and helping your son or daughter navigate their living as a confident young Muslim in a western society. Shifa Institute is dedicated to bringing youth together in a positive and encouraging environment. As part of our programs, we would like to invite you to apply to have your child attend our 3rd Annual Family Camp over 4 days and 3 nights, from Friday 18th January 2019 to Monday 21st January 2019. You must submit an application form, then pay a $150 deposit for each child. Your application submission and deposit payment does not necessarily guarantee your child’s place on camp. Shifa Institute reserves the right to reject any applicant, whether or not there is a vacant space. If your application is not accepted, the deposit will be refunded. Each application will receive an email confirming receipt of your submission. Once received, you will need to pay the deposit according to instructions in the confirmation email. Any application received without an accompanying deposit might not be considered, unless you advise us otherwise. If the deposit cannot be made for any reason, you must contact us for alternative arrangements. Applications will be assessed, and a confirmation of your child’s place will be sent by email. Once your child’s place is confirmed, the balance will need to be paid by 17 January 2019. 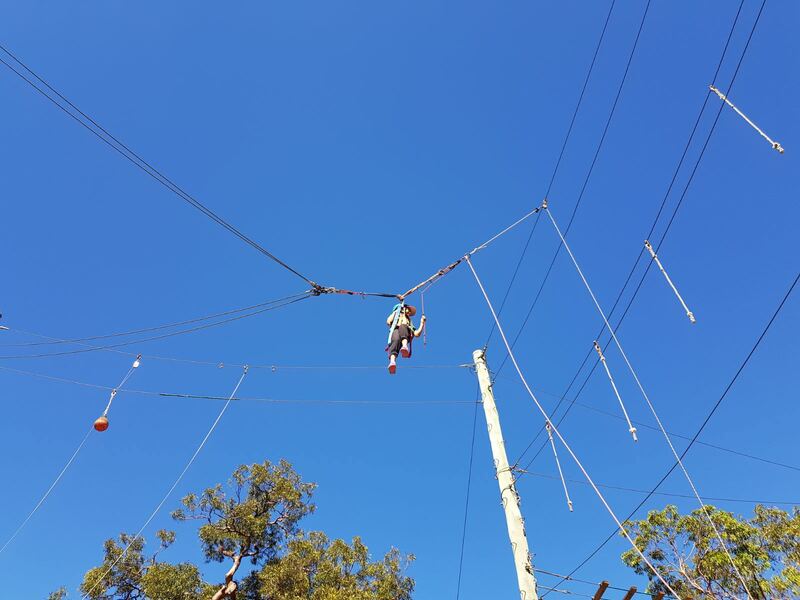 If the balance is not paid, your child’s place on camp may be forfeited and offered to another person. In the case that your child can no longer attend for any reason, you must advise us immediately so that your place can be offered to someone else. In this situation, Shifa Institute reserves the right to withhold an administration fee from the deposit. You must advise us of any existing health, medical, behavioural, psychological or mental issues your child may experience. This is to ensure we have the necessary resources and support at hand to provide the most comfortable and supportive environment for all boys and girls in attendance. Your child will need to be at the designated departure point (Bass Hill) by 8:30am on Friday 18/1/2019. Bus departs promptly at 9:00am. The group returns to the arrival point (Bass Hill) approximately 11:45am on Monday 21/1/2019. A complete list of conditions will be provided upon acceptance of your child’s place. 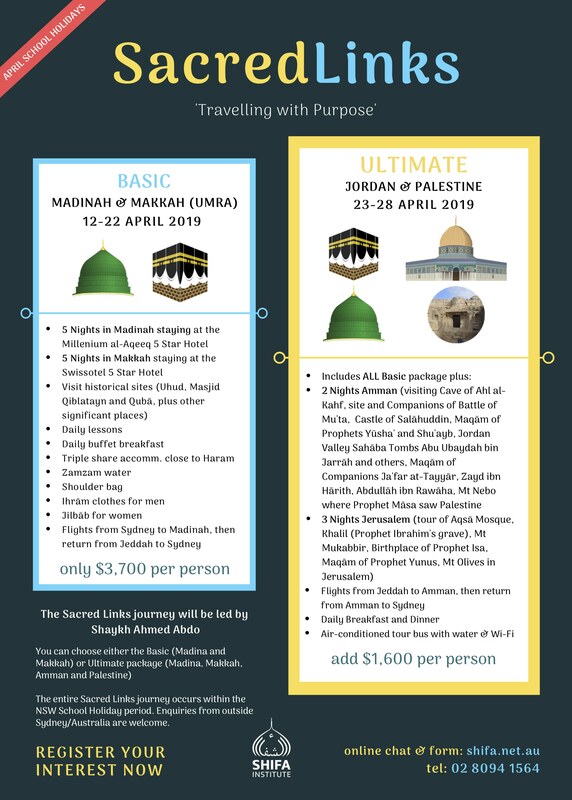 Sacred Links in April 2019 is a Umra trip (Madinah and Makkah), followed by a special Jordan and Palestine tour where we visit some of the most sacred sites in Amman, Jerusalem and surrounding regions. This will be sure to inspire, captivate, and strengthen your links to the most sacred parts of your life and world. Join us in April 2019! Check out the FAQ section here. 1. Is this for youth, adults, or both? Sacred Links is open to adults, married couples, friends, brothers, sisters, and supervised children/youth. 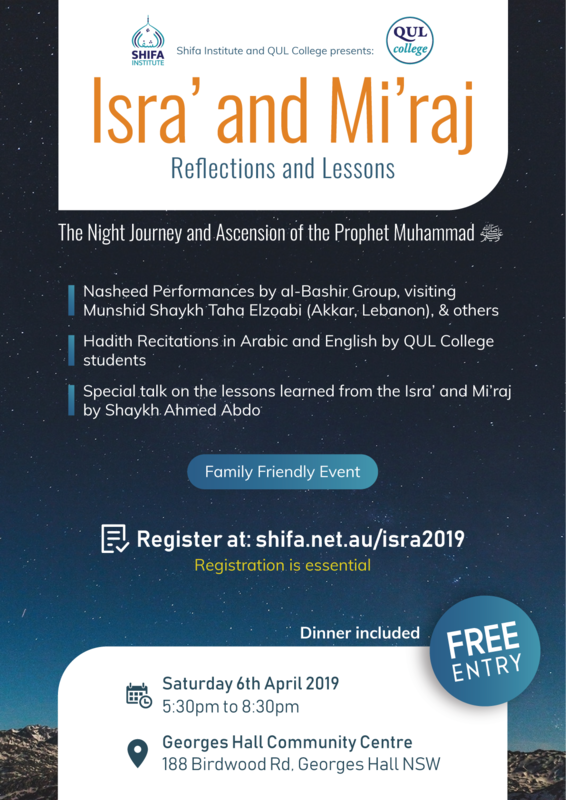 This journey would be ideal for people wanting to strengthen their connection with one another as a family, whilst at the same time experiencing the the most amazing sacred sites in Islamic history and civilisation. 2. Can I get a twin share room for me and my spouse? Of course. Just let us know and we can advise of any additional costs. 3. I want to visit another destination after Sacred Links. Can you book additional stopovers like Beirut, Istanbul, Dubai? Sure. Let us know where you want to go and for how long, and we can advise of the alternative itinerary and costs. 4. I have never been to Umrah. Won’t it be difficult since I don’t know how to perform the rites of Umrah? Umrah is pretty straightforward and literally only takes two to three hours once you arrive into Makkah. As for the rules, we will go through everything beforehand. If there is enough interest, we could even run a crash course before departing Sydney. 5. Isn’t visiting graves a little doubtful, as it might lead to shirk? Our beloved Prophet Muhammad ﷺ passed by Prophet Musa (Moses) in his grave whilst he made the Night Journey (Isra). He also encouraged his nation to visit graves, as they remind one of the hereafter. He also used to frequent al-Baqee Cemetery in Madina and make dua for his companions buried there. 6. I noticed only breakfast is included during the stay in Makkah and Madina. What about dinner? If you have stayed at 5 Star hotels before, you would know the breakfast buffet is quite exotic! It will fill you up for most of the day. There are plenty of food outlets around, so you are free to grab lunch or dinner to your liking outside the hotel. The supermarkets are also stocked with high quality and cheap food items – you can always stock up on some snacks and wholesome food and keep them in your hotel room. 7. When exactly do we leave, and when do we return? For the Ultimate Sacred Links package, we leave Sydney on the evening of Friday 12 April 2019. We plan to arrive into Madina by plane on the following Saturday morning. At the end of the trip, we will depart Amman on Sunday 28 April 2019, arriving into Sydney that same evening. That’s the plan, but of course this could change slightly depending on flight availability. We will confirm the exact itinerary with you before proceeding with the booking. 8. I really want to attend Sacred Links, but I live outside Australia – perhaps New Zealand, USA, or somewhere else in the world. Can I still go? Everything is possible. All you need to do is arrange the Umra visa in your country of residence. We can then assist with the connecting flights so you can meet the Sacred Links group in Madina (or a stopover before). 9. Do we do Umrah first? Then Madinah? Our first destination is Madinah, where we will spend 5 nights. After visiting our Beloved Messenger ﷺ and exploring the sacred sites in and around Madinah, including Mount Uhud, Masjid Quba’, and Masjid al-Qiblatayn, we will get changed into our Ihram clothes on the last day and take the bus southwards to Makkah. The trip is usually about 5 to 6 hours, depending on traffic. We will stop at Dhul Hulayfa just outside Madinah, where the Prophet Muhammad ﷺ began his Ihram from on the way to Hajj. The month of Rabi’ al-Awwal is the time in which the beloved Prophet Muhammad (peace be upon him) manifested onto this earth. His birth and life are celebrated by the entire universe, in every single moment. 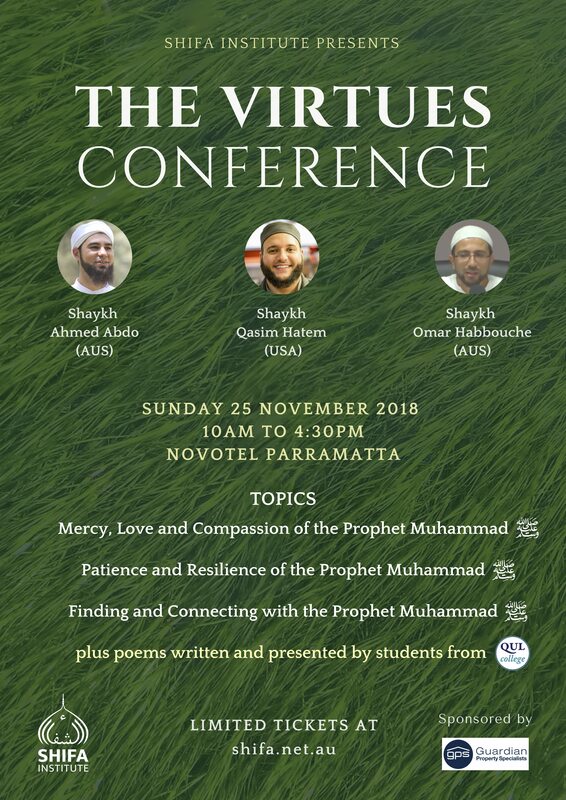 The Virtues Conference is our attempt to bring his noble virtues to the forefront of our minds, be inspired, and emulate the best of examples which he left for us. Shaykh Qasim Hatem was born in Cedar Rapids, Iowa, where his forefathers built one of the very first mosques in North America. His family moved to Washington State in 1993, where he would later earn a full-ride scholarship to play football for the University of Washington. Originally recruited as a linebacker, he would go on to earn a starting position in 2001 at nose tackle on the top-ranked and Rose Bowl-winning Huskies. Appearing in Sports Illustrated and being scouted by NFL teams, Shaykh Qasim seemed destined to fulfill the “All-American Dream.” Shortly after that spectacular finish in the Rose Bowl however, Shaykh Qasim incurred a life-threatening injury. Although he would not be able to play football that fall, he had the opportunity to return and play in the next two seasons to complete his collegiate football career. He chose a different path entirely: his faith. A year after graduating with his bachelor’s degree in psychology in 2003, Shaykh Qasim traveled to Yemen to study in the blessed city of Tarim. He first enrolled in the Badr Language Institute and then moved on to the prestigious seminary, Dar al-Mustafa, to study the traditional Islamic disciplines under some of the most illustrious scholars of our time. Shaykh Qasim completed his rigorous studies in 2011, with primary ijazaat (licenses to teach) in: Shafi’i fiqh (jurisprudence), ’aqeedah (Islamic creed), nahu (Arabic grammar), tajweed (Quranic recitation in hafs), and da’wa (methodology of inviting to Islam). Currently Shaykh Qasim is the Executive Director and Resident Scholar of the Mihraab Foundation based in Seattle, Washington. He is also the Muslim Chaplain for Harborview and University of Washington Medical Centers and the Muslim Chaplain for a Washington State prison.